The evolving security environment on the Korean Peninsula, including efforts by Republic of Korea (ROK) President Moon Jae-in to foster the inter-Korean dialogue, provides new opportunities for Brussels and Seoul to boost ties. In 2010, the ROK and the EU upgraded their relations to a Strategic Partnership and in 2014 the two partners signed a Framework Participation Agreement - ratified by Seoul in December 2016 - facilitating South Korea’s participation in EU missions and operations, making the ROK the first and only Asian state to have a formal security cooperation arrangement with the EU. 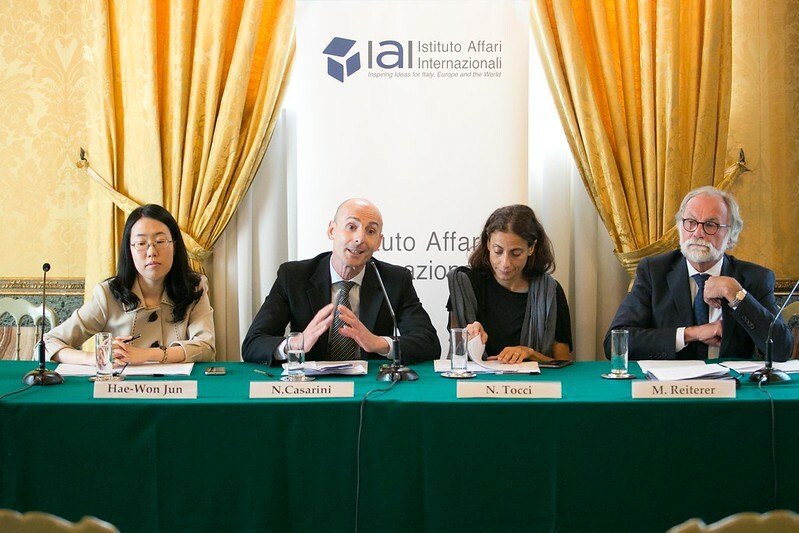 The conference examined EU-Korea security relations in four key policy areas selected for their potential to deepen and broaden the EU-ROK strategic partnership. The aim was to contribute to the debate on how best to promote security cooperation between Brussels and Seoul in light of recent developments on the Korean peninsula, including discussion of the role of the EU and its Member States in supporting the North-South dialogue. Conference organized thanks to a grant from the Korea Foundation.